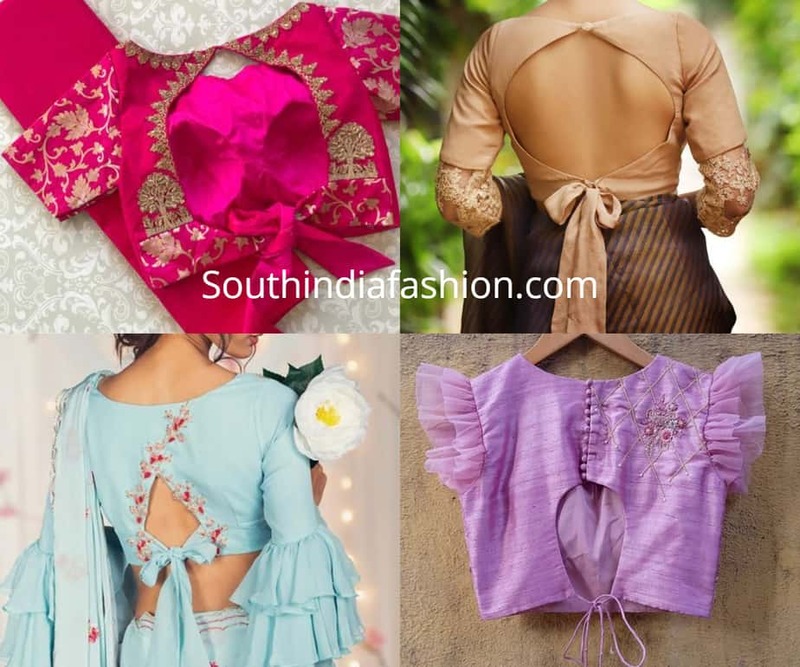 Latest Blouse Designs Stylish And Trendy Latest Saree Blouse Designs 2019! 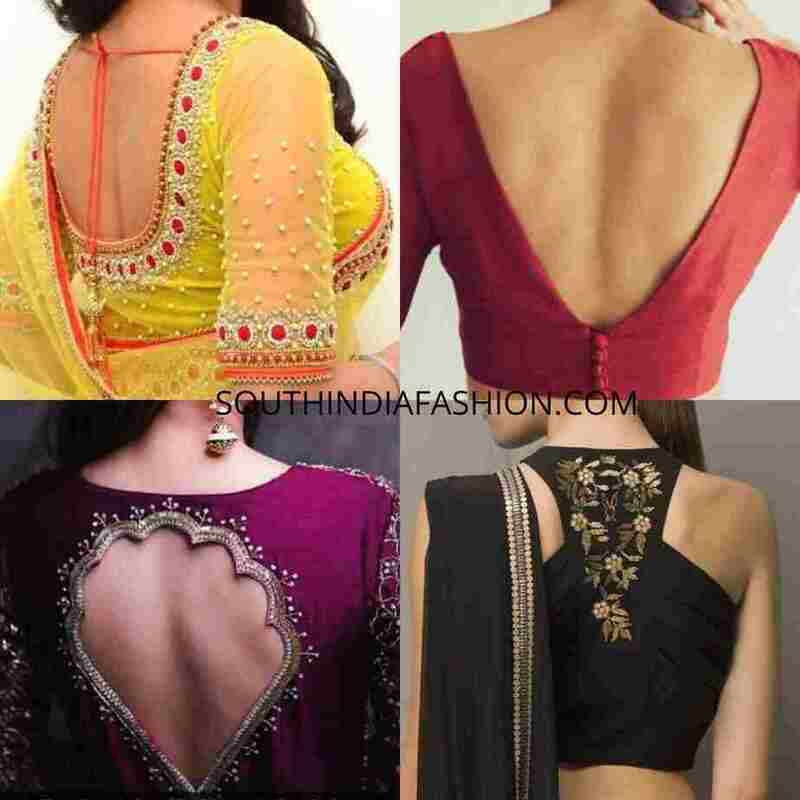 Stylish And Trendy Latest Saree Blouse Designs 2019! Blouse designs are the best medium to stay tune with the latest fashion trends. No doubt, saree blouse designs have always been a popular piece of cloth that every wearer uses to show their creativity. 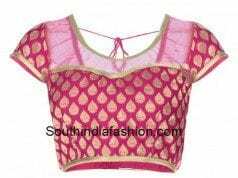 However, in present time, designers have taken styling of blouse to the advanced level. And, we are expecting a lot of new blouse designs in 2019 that are going to make a difference than all the popular fashion trends that we loved in 2018. 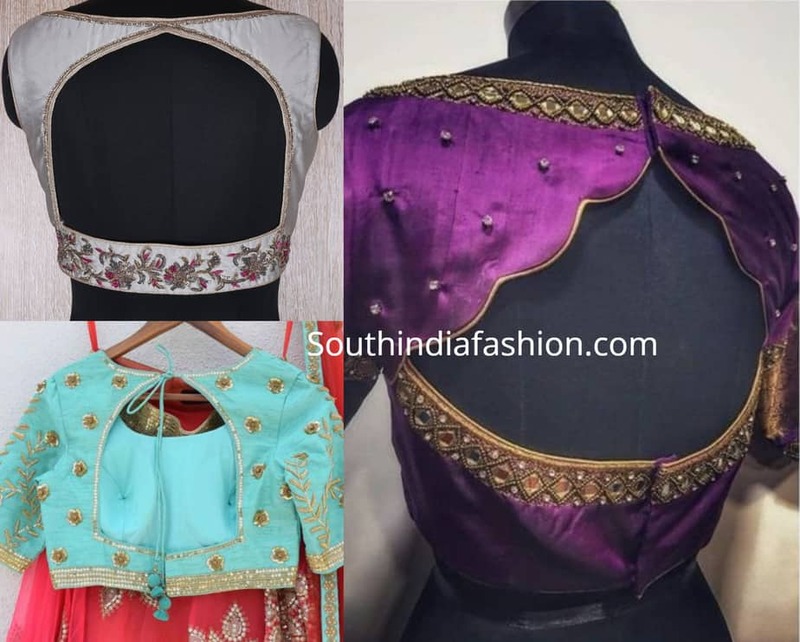 Checkout some latest saree blouse designs 2019 with some interesting back side design, front neck design and blouse sleeve designs. 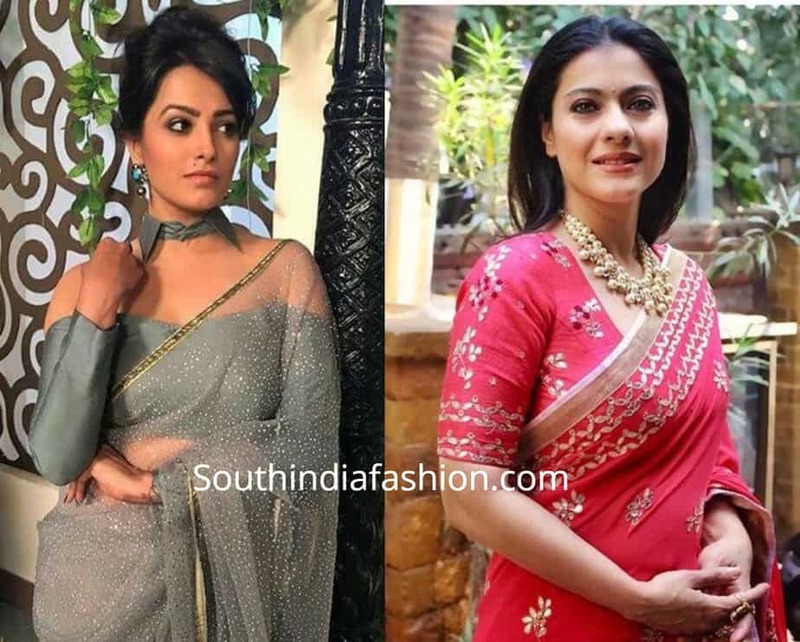 Fashion trends are set and meant to circulate among commoners through popular medium of TV serials, fashion magazines, Page 3 of newspapers and of course our Bollywood divas. We are thankful for their courage and styling sense to carry saree blouse in convincing style to set the trends. 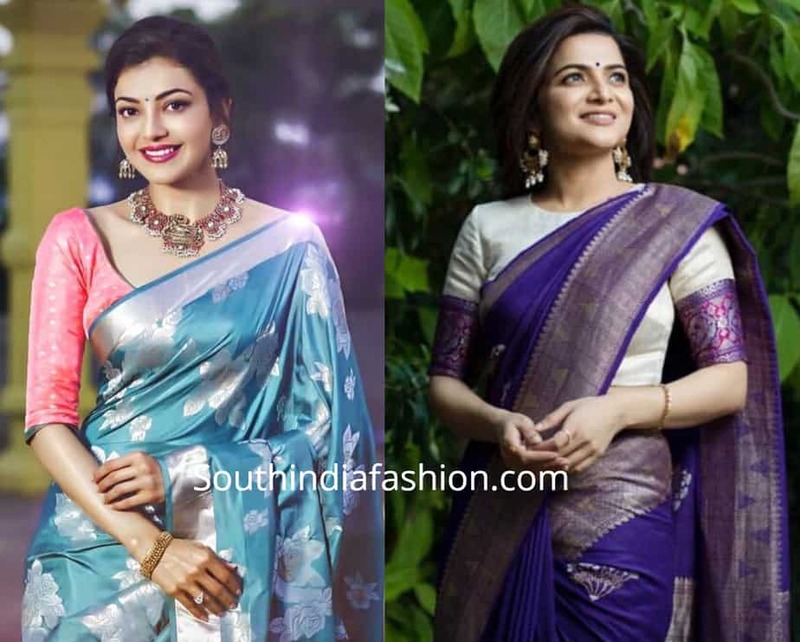 To grace your nine yards of old drape in style and bring new shades of your styling to life, we are here with newest saree blouse designs for 2019. It is the right time to rejuvenate your old saree look by pairing it up with this fantastic blouse designs. The detailing at back is what that can easily spice up your whole saree look easily. On the top of it, you can show colors of your personality by molding this stylish blouse design with your creative touch. In this wedding season, you can give 360 degree spin to your family fashion sense by not repeating the common styles of blouses. You can lead the ladies of your house and introduce them with these latest blouse designs and help them to come out from boring fashion. And, this is the way you can easily add the wow factor to your old saree look. 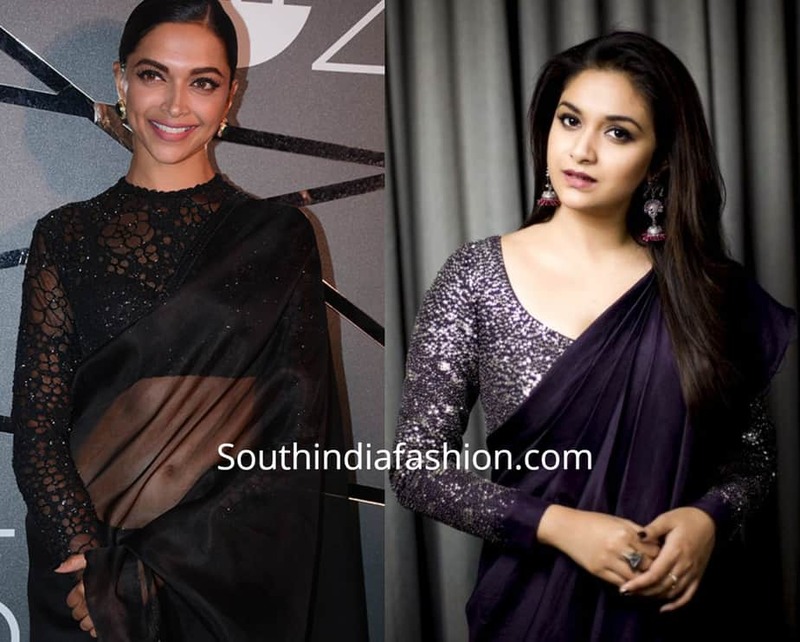 With the determination to transform the complete look of your nine yards of drape, update your fashion sense with these latest saree blouse designs 2019. More upon it, this is the smart way to enhance your saree look and turn many eyes around. With these beautiful blouse designs, you can grab the different and offbeat styling altogether. Undeniably, saree is the most adorable clothing that can decorate a lady in her best for every occasion. From celebrations to events and parties to office, you can rock with saree styles. Furthermore, this is one piece of clothing that you can style according to the event requirements. Moreover, styling saree with latest blouse designs can give it a completely diverse and more subtle look. And, easygoing saree blouse design can work as statement piece of your styling. Enjoy your saree and glam it up with these styles to look fantastic. Do post your comments for your favorite style. Stylish Party Wear Saree Blouse Designs! 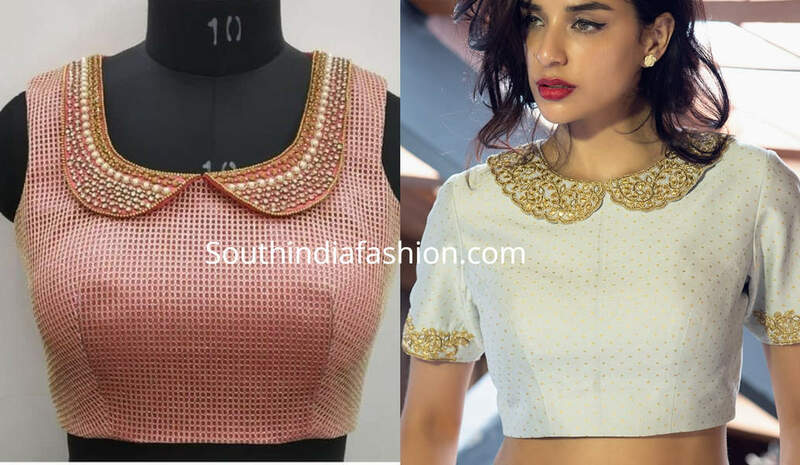 10 Stylish Designer Blouses by Shruthireddy Designers! Latest Celebrity Blouse Back Neck Designs 2018! 5 Trendy Blouse Designs That Will Never Let You Down!